A trip with the overnight train took us from Prague main railway station to Budapest Keleti pályaudvar. The train ride itself took around 9 hours with pitch black scenery and extra bright train compartment. Once we arrived, we took a short walk to our hotel in Rakoczi ut. We were so fortunate that the hotel agree to let us do early check in so we can dropped of our luggage and freshen up. After such a long train ride, we were famished. All we can think about is getting some good local food that Budapest is known for. And what better way to get food than from the local market. 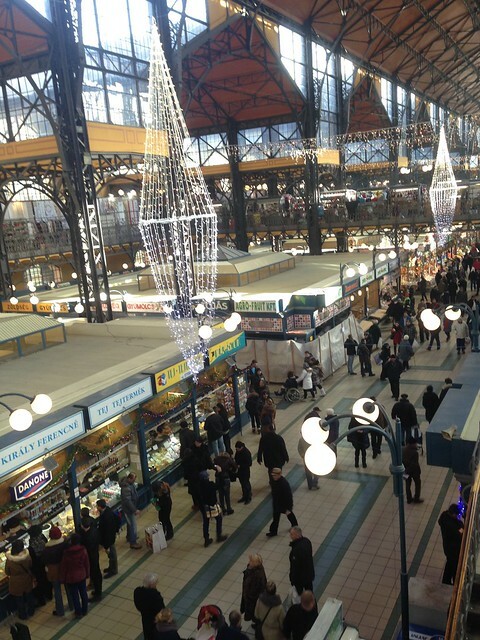 Since it was a Saturday, we decided to walk to the Nagycsarnok a.k.a Great Market Hall. The market is a huge 2 story building with a market in the first floor and eateries & souvenir shop on the second floor. It is a fave among locals and tourists. But for those who are visiting, the best time to come is during lunch time. Otherwise it will be very packed in the morning. The great market hall serve its name right. We were in awe with the size of the market. 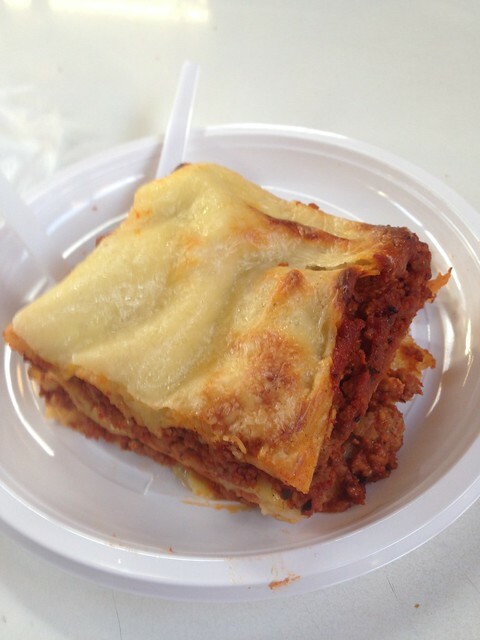 It is filled with people selling meat to veggies, from truffle to cakes, from raw to cooked. The stalls are a feast to our sleepy eyes and the smell of freshly cooked meal enticed us. 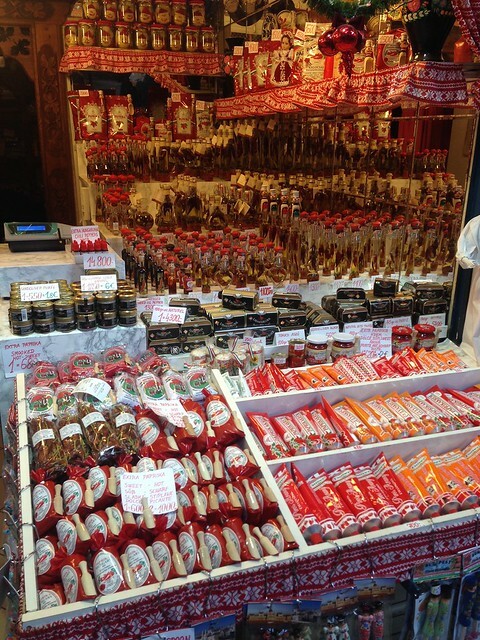 But aside from those regular stalls, we were intrigued by the presence of many specialty paprika shops. The shop sells paprika in all shapes, sizes, and forms and we just couldn’t stop ourselves from buying a few to bring back home. Once all the shopping is done and our tummies started growling, we headed on up to the 2nd floor. We instantly search for the stall that has the most queue, because it is always a sign of good food. We fell in love with the piles of food and have trouble deciding what we want. No, we didn’t have the goulash at that time for no specific reason (still have no idea why until now). Instead, we opted for baked potato and some sort of a lasagna dish. The portion was humongous and the taste was superb. The baked potato shocked us the most. 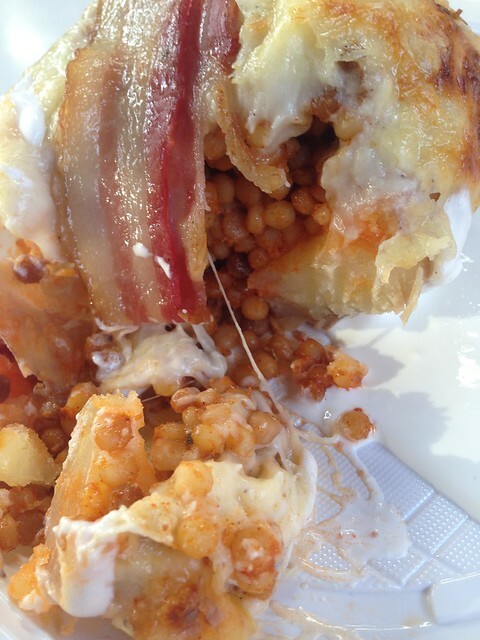 It has never ending layers of filling and topped with bacon. Just look at them. It is crazy delicious and basically just good honest food. And it’s a great start to our quest for food in Budapest.